Earlier this year, Xiaomi’s Yi action camera gave us a much more affordable option to the highly acclaimed GoPro line of cameras, and on Monday at Photokina 2016, the company has set its sights on the mirrorless camera market. 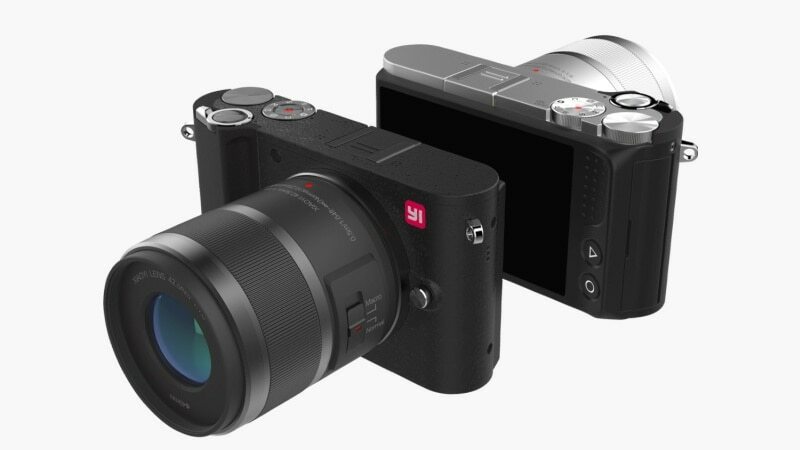 The Yi M1 is its first mirrorless camera and will start selling in China for CNY 2,199 (approximately Rs. 22,200) with a 12-40mm f/3.5-5.6 kit lens or CNY 2,999 (approximately Rs. 30,200) which includes an additional 42.5mm f/1.8 portrait lens. The lens has a switch on the side for switching between Normal and Macro shooting. In addition to the PASM mode dial, the Xiaomi Yi M1 camera also sports an additional dial for quickly changing parameters, depending on which mode you’re in. The camera’s interface is also said to be designed keeping in mind the user friendliness of today’s smartphones. So technically, even a novice should be able to jump right in and start using all the features without much of a hassle. The Yi M1 boasts of a 20-megapixel micro four-thirds Sony sensor and a minimalistic design, which reminds us a lot of Leica cameras. It uses a contrast detection AF system with a total of 81 focus points. The Xiaomi Yi M1 supports raw shooting, ISO range of 100-25600 and burst shooting of up to 5fps. There’s no built-in flash (although a hot shoe is present) or an EVF, but what you do get, is a 3-inch touchscreen LCD. In terms of video, the Xiaomi Yi M1 camera supports 4K recording at 30fps and slow-motion video capture at 240fps (480p only). It also supports Wi-Fi and Bluetooth 4.1 for connecting to your smart devices and comes in White or Black colour variants. There’s no word on if or when this camera will be available outside China.